We haven’t had a lot of nice days here in New York. So, when I saw today was likely the only warm (well, mid-40s warm), sunny day this week, I dropped everything and headed out to take pictures. 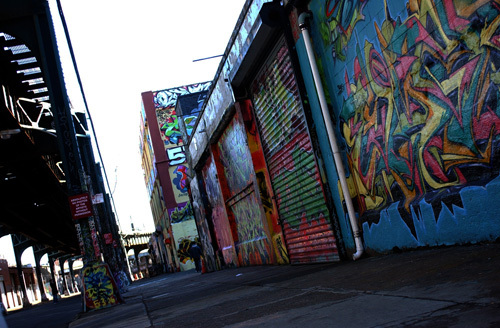 I picked 5pointz in Long Island City because Queens always gets the shaft when people think of New York. 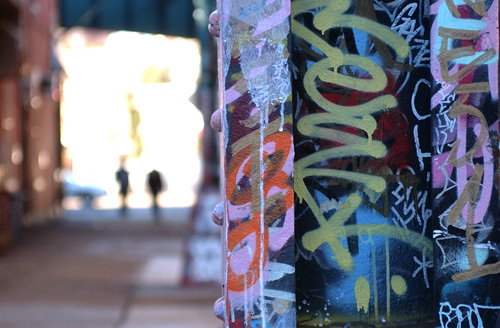 If the metro area were a family, New York would be the impressive, wealthy sister while Brooklyn would be its hip, grungy brother. Queens is the forgotten middle sib, while the Bronx is the problem child (though let me point out that of the five boroughs, Brooklyn had the most homicides in 2009, thanks to East New York). As for Staten Island? Well… yeah. My visiting friends always give me a hard time for living in Astoria. 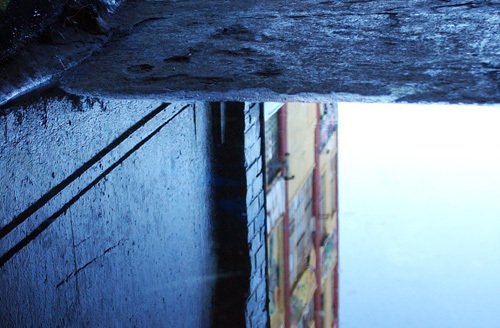 I have no qualms with Brooklyn, but Queens has its own charm. 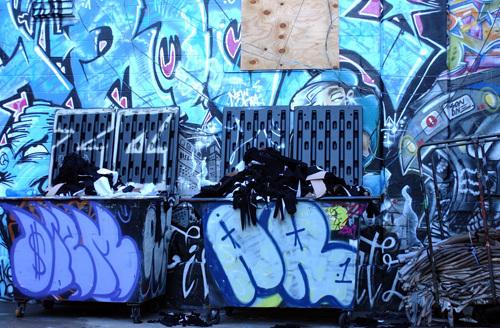 Remember the “graffiti-laced ghetto of Queens” I mentioned in one of my misadventures? 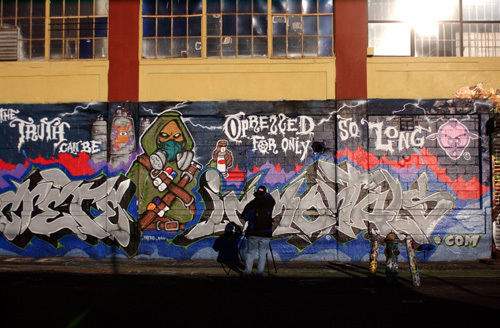 I didn’t know it at the time, but I was talking about 5Pointz. 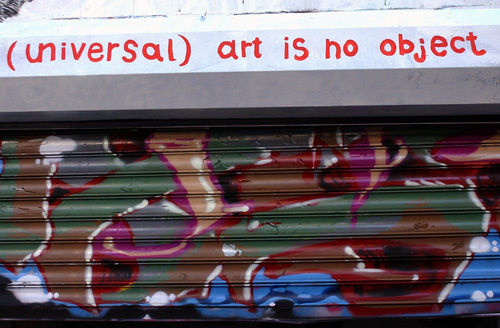 Funny how I’d been so conditioned to associate graffiti with crime that I didn’t even realize it could also be art. 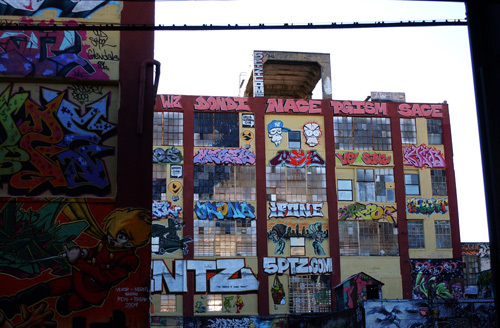 5Pointz Aerosol Art Center, Inc. is an outdoor art exhibit space in Long Island City, New York, considered to be the world’s premiere “graffiti Mecca,” where aerosol artists from around the globe paint colorful pieces on the walls of a 200,000-square-foot factory building. 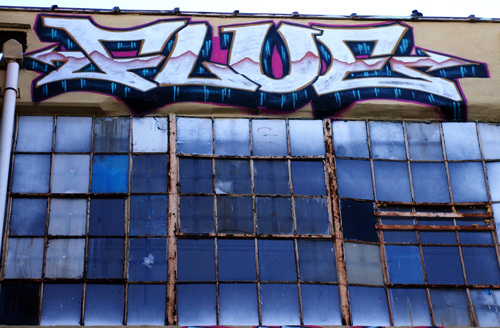 The name 5Pointz signifies the five boroughs coming together as one but, because of its reputation as an epicenter of the graffiti scene, the industrial complex has actually united aerosol artists from across the world. 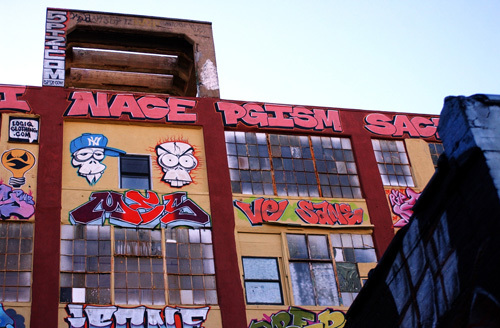 Over the past decade, the striking, graffiti-covered warehouse has attracted several hip-hop and R&B stars, including Doug E. Fresh, Kurtis Blow, Grandmaster Kaz, Mobb Deep, Rahzel, DJ JS-1, Boot Camp Clik, Joan Jett, and Joss Stone. 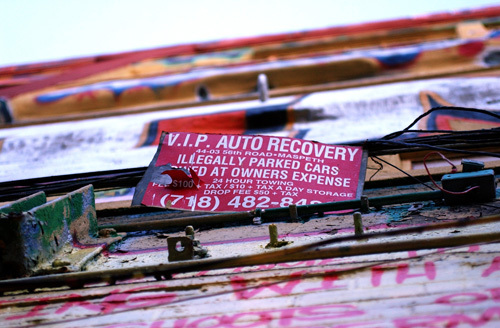 On any given day, 5Pointz visitors can expect to find prominent artists, musicians, deejays, Emcees (rappers), and B-boys (break dancers) on site, in addition to filmmakers, photographers, and entire tour buses full of admirers soaking in the more than 350 Technicolor murals.